Need help rebuilding after tornado damage? We are General Contractors offering diverse services. Currently licensed in Alabama, Tennessee, and Mississippi, Don Spurlin Construction specializes in design build services for small office, retail, medical, as well as steel buildings for warehouse or other purposes. Additionally, we welcome the opportunity to bid on your project with your plans and architect. We also can refer you to the appropriate architectural services that may be outside the scope of our normal design build projects. 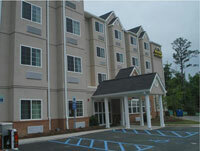 Don Spurlin Construction has much to offer to the Hospitality Industry for hotel and motel construction. Our services range from General Contractor for building only, to turn key including architectural, civil and complete development inclusive of site work and even FF&E in many cases. We have a strong record of finishing on time and on budget. Through our affiliates, we can help you find the right site and hotel flag, or design a non flagged hotel for you. At Don Spurlin Construction, we don’t like surprises. We strive to do all our homework up front and to be very inclusive in bids and pricing to our customers. Change orders are rare and no surprise in our projects, as they are truly changes the owner desires after construction commencement, and not based on misunderstandings or “scopes of work” left out of the original bid. It is uncommon to have more than one or two, relatively small, change orders on our projects. 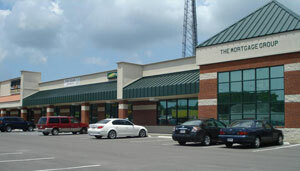 Through our affiliates, we offer a build lease program for retail and professionals. From stand alone retail and strips, to medical and office facilities, and even warehouses, we are ready to provide complete services for those that prefer to lease including site selection, exterior and interior design, and complete construction. Copyright © 2008 - 2019 © Don Spurlin Construction.